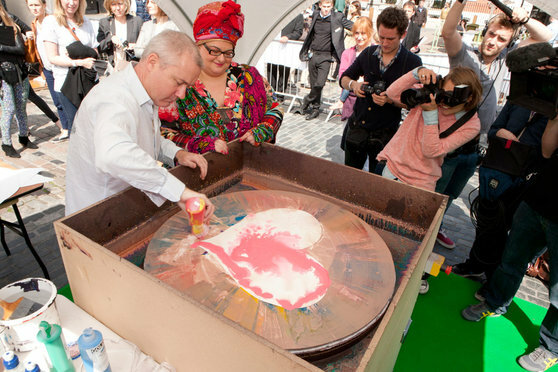 In support of one of his favourite charities, Kids Company, Hirst spent the morning of the 14th July helping children make spin paintings as part of an all day event organised by Tate Modern. 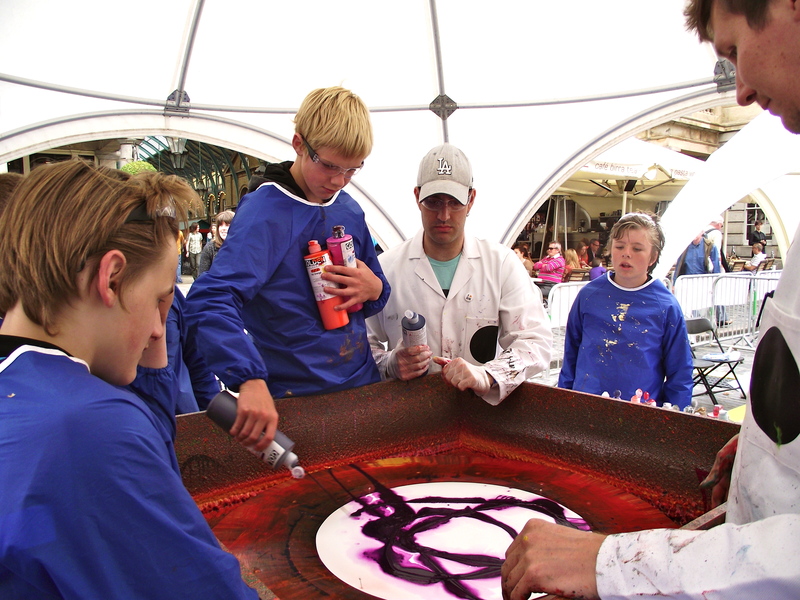 A longtime advocate of Kids Company’s use of art therapy, Hirst describes the spin paintings as a “massive explosion of energy, full of life, colour and optimism”. 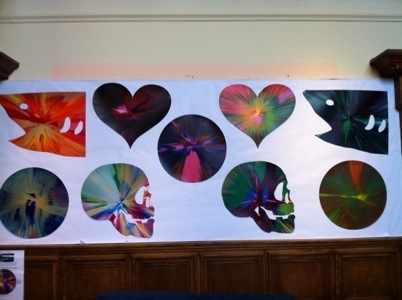 Students from The Springfields Acdademy joined other schoolchildren from the UK in creating their own spin paintings. 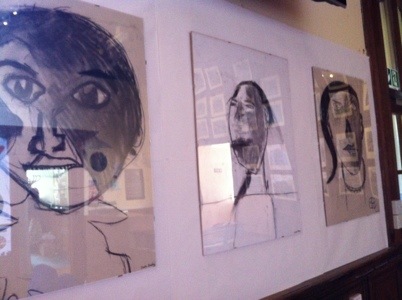 A selection of their paintings are now on display in the historic covered market in Covent Garden before they are returned to the children. 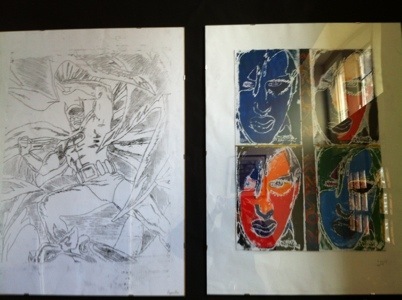 The spin painting Hirst created with Batmanghelidjh will be auctioned at the charity’s Gala Dinner in October of this year. Tate Modern are currently exhibiting some of Hirst’s spin paintings as part of their major Damien Hirst survey (until September). 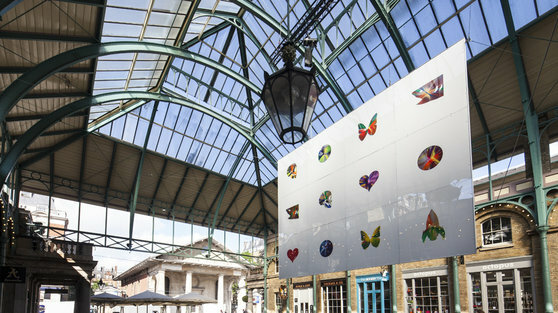 For more information please visit Covent Garden’s website. Arts Council England has awarded Artsmark Gold to The Springfields Academy in recognition of the school’s commitment to, and excellence in, arts education. 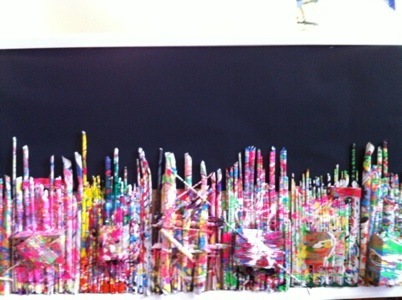 The Springfields Academy is part of the 1750 schools in England who received an Artsmark award this year. 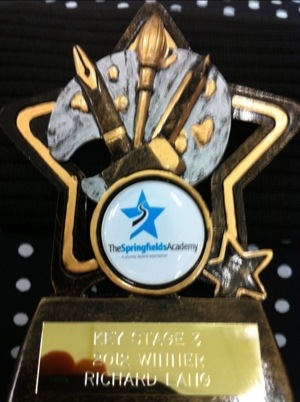 “We at The Springfields Academy are extremely proud to be receiving the Artsmark Gold Award. This is a tribute to the dedication and commitment of our staff to raise the standards of education for all students in our establishment. The focus of Artsmark is to support Arts Council England achieve its goal of ensuring every child and young person has the opportunity to experience the richness of the arts by ensuring they have access to high-quality provision. Gaining an Artsmark at any level shows that an education setting is committed to the cultural development of the young people they work with. 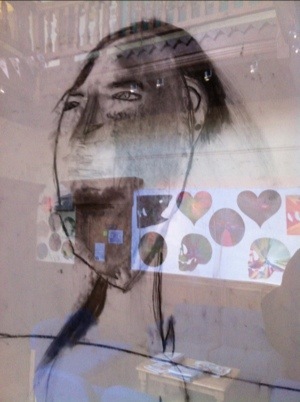 By offering public recognition of commitment to the arts by the settings and its staff, Artsmark supports them to raise their profile and continue improving their practice.